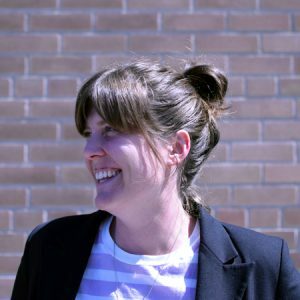 Brooke moved from Australia and joined the FoodShare team in 2009 - perfectly timing her arrival with an emerging local food movement and rapidly increasing public awareness of the importance of good food education. Immediately caught up in the buzz around food literacy, Brooke soon realized her joy was developing and implementing fun, hands-on food workshops and events for students from JK-Grade 12, as well as teachers, educators and parents. After a decade of dressing up like a bee, digging in the soil for worms and performing synchronized crunches into locally-grown apples, Brooke has a wealth of knowledge about getting kids excited to eat fresh veggies and fruits, and tests her theories out on her own children daily.